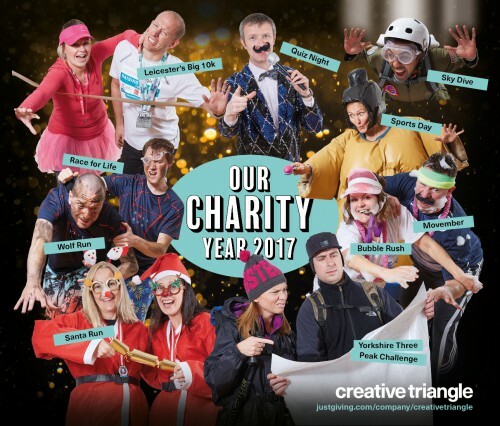 Well 2017 has certainly been a crazy year for us Triangles…not only have we been busy creating effective designs for our clients but we have achieved all of our ’10 things to celebrate 10 years’…raising nearly £15,000 for charity in the process!! Creative Triangle have been supporting local charity Menphys (for Leicestershire’s children and young people with disabilities) for the last 3 years by providing free design and marketing expertise – including their annual Carol Concert programme. 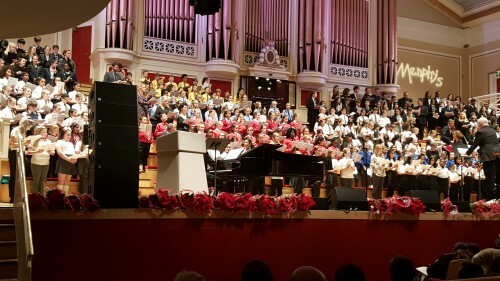 This year’s Carol Concert at De Montfort Hall was the biggest turnout so far in its 34-year history! Hopefully by now you are chomping through this year’s Creative Triangle advent calendar. We took the opportunity to share with everyone our a fantastic fundraising year…we are so close to raising £15,000 now!! There is still time to sponsor us for all the activities we have completed as a team this year including Sky Diving, Yorkshire 3 Peaks, Wolf runs, Bubble runs and more! All for amazing charities that are very close to our hearts! We really appreciate every one of our clients, suppliers, friends and family that have already supported us – thank you!